The last time Charlie Morton and Edwin Jackson faced off, both pitchers got a no-decision and left in a tie game that was won late by Oakland, 4-3. On Tuesday night in Houston, the two pitchers again left in a tie game, each got a no-decision and Oakland won the game in the ninth for a 4-3 decision that pushed the Athletics back within 1-1/2 games of Houston in the A.L. West. After Tyler White plated Carlos Correa with the game's first run, Oakland took an early lead when Matt Olson crushed Morton's curve off the facade of the upper deck with two aboard for a 3-1 advantage. Alex Bregman tied it in the fifth with a two-run double. Neither starter made it through the fifth as both managers turned to their bullpens early. 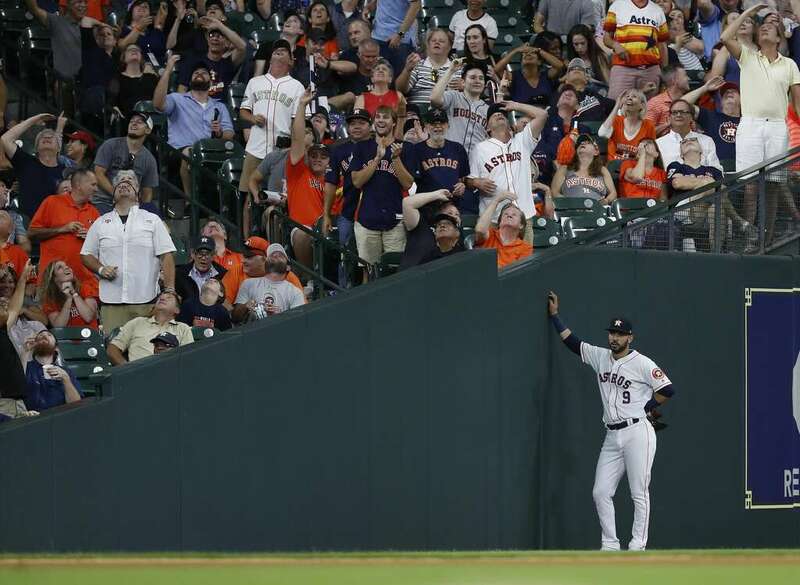 Will Harris, Ryan Pressly and Hector Rondon tossed hitless relief although Rondon's stint was interrupted when Steve Piscotty's pop down the left field line nestled into the girders that hold the roof in place and never came down as Marwin Gonzalez and nearby fans waited in disbelief for the ball to drop. Oakland manager Bob Melvin decided he might get lucky with the blind morons in the replay booth twice and called for a video replay back in New York. Veteran Juice Boxers know the ball is automatically out of play since the rafters are considered foul grounds but, heck, maybe the replay guys would be generous with the A's like they were back in Oakland that cost the Astros a game so Melvin had nothing to lose. Melvin didn't win the challenge but he did win the game when Roberto Osuna put two aboard in the ninth before Nick Martini spiked the olive into a ground rule double to right center that plated Ramon Laureano with the game-winner. Blake Treinen notched his 33rd save and proved the Astros still have no better than the third-best closer in the division behind Seattle's Edwin Diaz and Oakland's Treinen. The loss ended Houston's six-game winning streak. The final head-to-head matchup with the Athletics comes Wednesday afternoon in a 1:10 pm Central matinee. Trevor Cahill (5-3), who mastered the Astros in a two-hit effort back in Oakland recently, will be challenged by lefty Dallas Keuchel (10-10) who has had trouble all summer getting himself above the .500 mark in wins and losses. Keuchel is 1-2 with a 5.23 ERA this year against Oakland. Over 43,000 filled the stands Monday night in the opener. That number dropped to 33,000 Tuesday. Wednesday's tickets should be easier to come by. The home-averse Astros would appreciate a playoff-like atmosphere for this big contest.